On a recent jaunt to the Hi-Dive, we were lucky enough to meet JJ. JJ, who is the head bartender at the Hi-Dive, hasn’t been clean shaven in–get ready–12 years. He’s grown his current impressive beard for about two and a half years, which started, much like some of our other amazing beards on Beards of Denver, as a battle with his buddies to see who could grow the most awesome one. When asked about care for his beard, JJ said he only started washing it about six months ago, but brushes it out everyday. 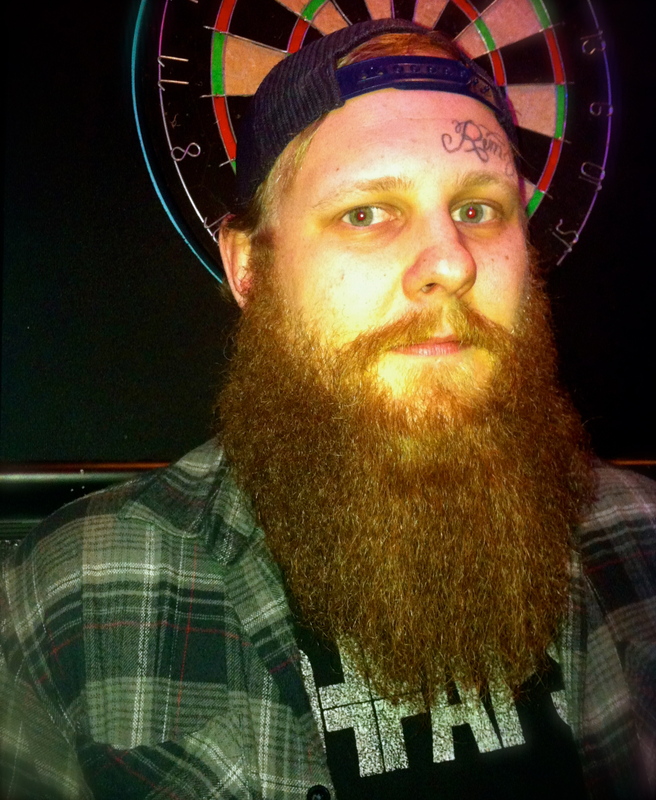 Though he grew up in Kansas, JJ and his beard have called Denver home for the past nine years. He and his beard are celebrating their 30th year on June 21st with an art show at the Hi-Dive; seriously, his beard is a work of art on its own. Keep it growing, JJ!